It is no secret that iPhone theft is on the rise. We have heard plenty of stories about folks who have lost their phones that way. There are already apps you can pick up to track your stolen gadget and prevent people from touching your phone. Apple is also aware of this disturbing trend which is probably why it has applied for a patent covering acceleration-based theft detection system. Apple’s patent application covers a system that activates an alarm after determining whether a theft condition is present. The system would use an iPhone’s accelerometer to guess when it is stolen. It can include a filter for discounting irrelevant acceleration frequencies and isolating those representative of theft. How accurate can this be? That is not clear. At this point, we can’t tell when Apple will include such a system in iPhones. It won’t stop all theft attempts but would be a nice feature to have. Speaking of iPhones, plenty of folks have already picked up an iPhone 5. Those who have owned iPhones in the past are probably already used to the idea of using their virtual keyboards to type on the go. 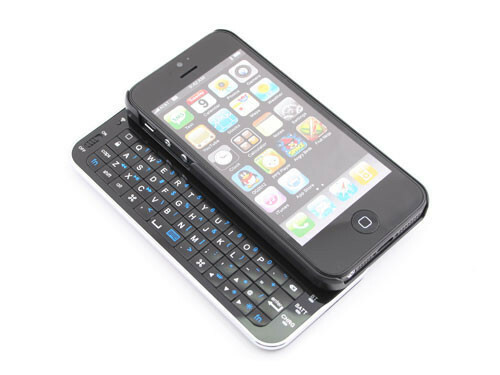 Those who still need a physical keyboard should consider investing in the above iPhone 5 case with slide-out keyboard. The case has a QWERTY format Bluetooth backlight keyboard which you can slide out for use and slide back in when done. It is powered by a rechargeable battery but won’t require buyers to deal with cables. It will cost you $35 though. 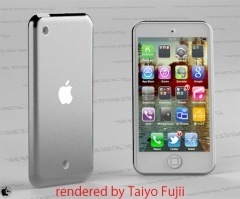 iPhone 5 Release Date, Will Get Secondary Screen?